Looking out over the Hehuan Shan. 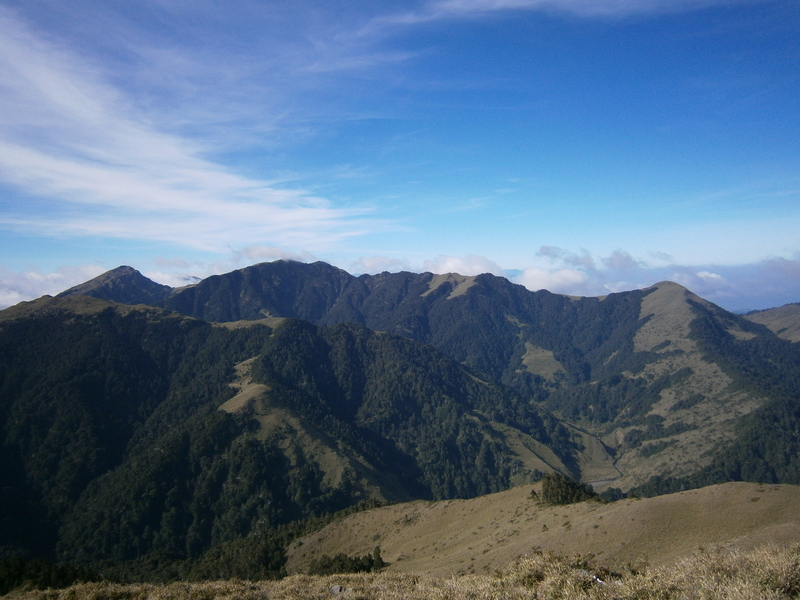 The Hehuan Shan mountain range is a popular tourist spot in Taiwan. 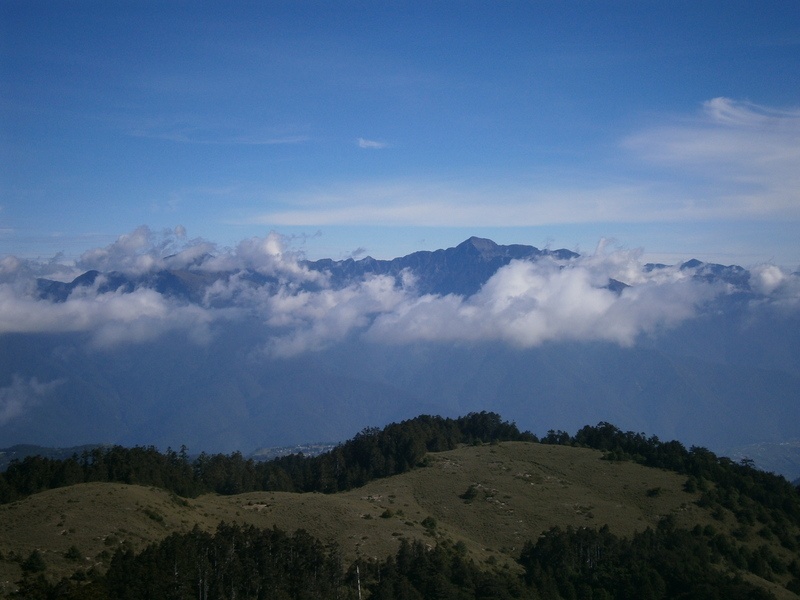 Well known as home to the country’s highest road, several of the area’s mountaintops are easily accessible. 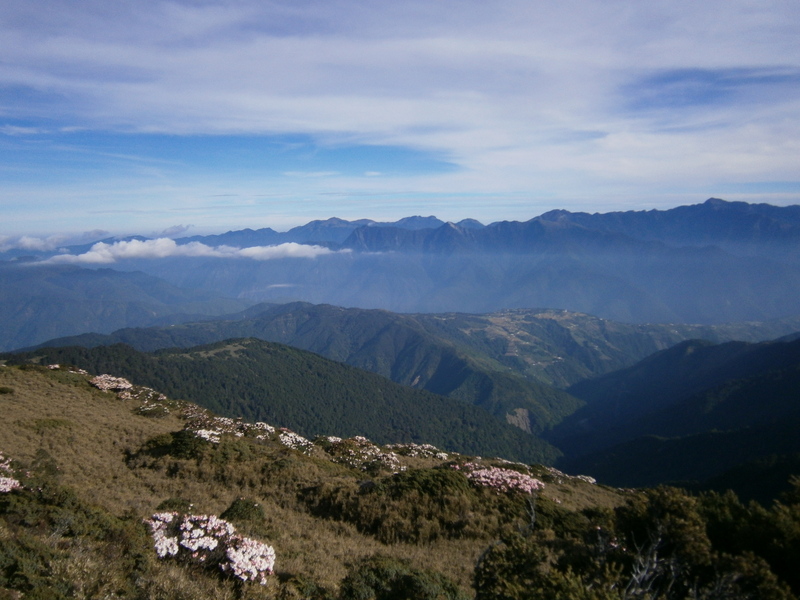 The Hehuan mountains are famous for their heavy snowfall in the wintertime, and vibrant rhododendron flowers in the spring. 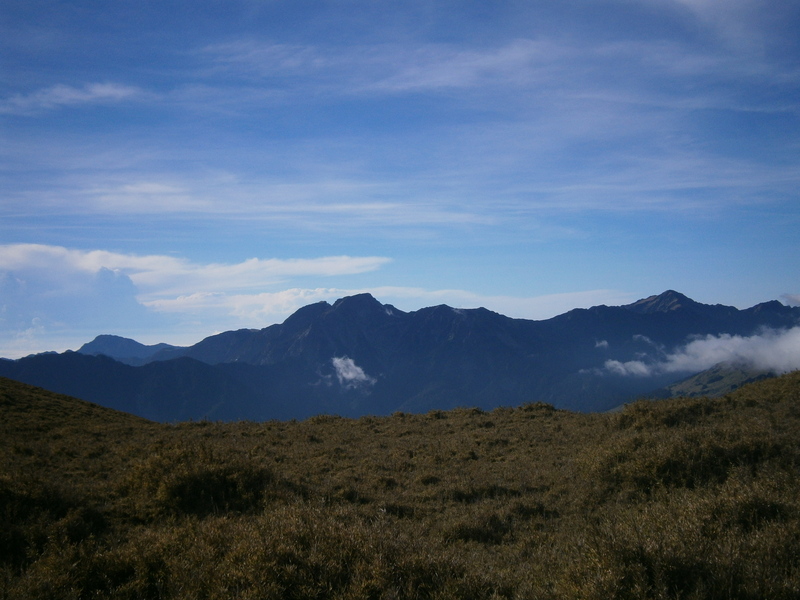 The Hehuan range is quite exposed, and receives more snowfall (and generally inclement weather) than most of Taiwan’s other mountains. Rhododendrons and a great view. 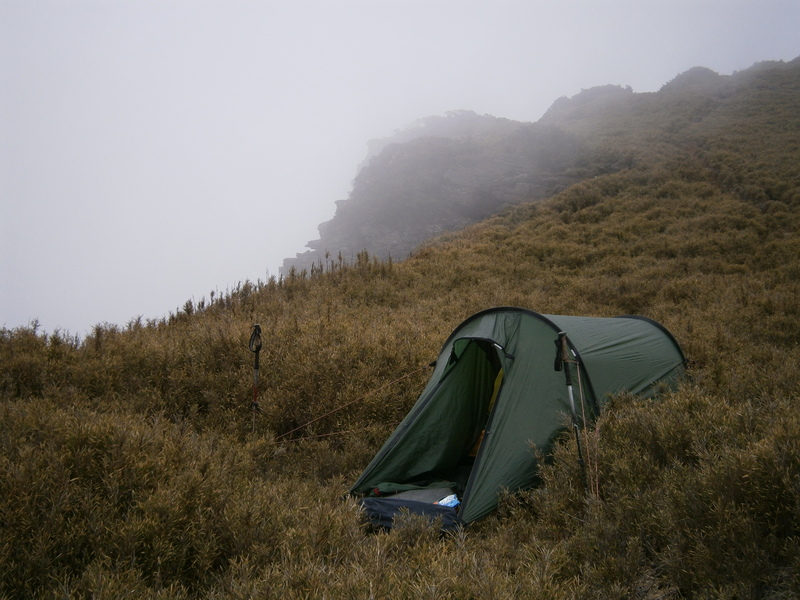 In April I headed to Hehuanshan with a friend to hike the North-West ridgeline – a camel back of ups and downs, all over 3100m in elevation. The plan just barely fit into my weekend; I’d be able to get there Saturday, camp out on the ridge overnight, hike all day Sunday, and get home at a reasonable hour. The April hike was so enjoyable, that I went and did it again in early May, this time with my friend Richard. 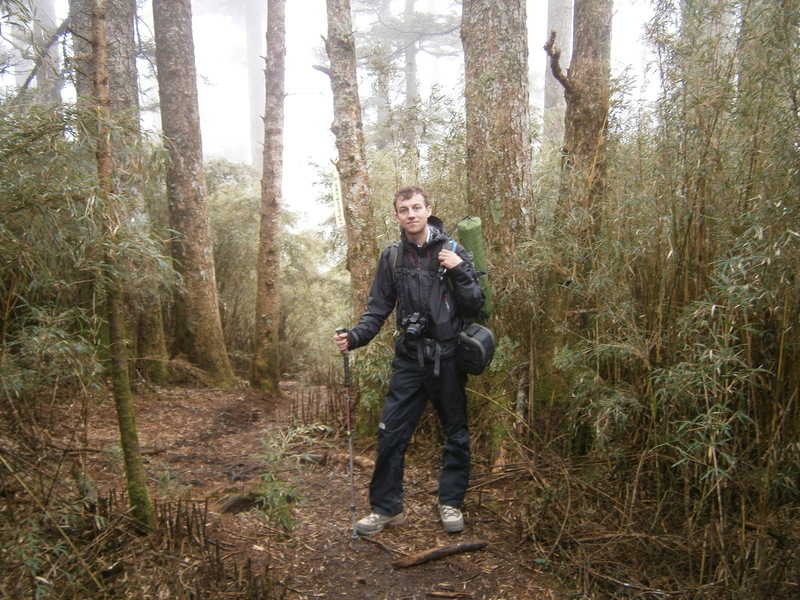 This journal provides a rough outline of both hikes. A map of our two day itinerary. Day 1: Both trips started with a ~4 hour bus from Taipei to Puli, a motorbike rental in Puli, and a 2 hour drive to the trailhead. From the trailhead, we hiked for an hour or so to the North Peak, and then pitched camp nearby. In clear weather Snow Mountain is visible from the North Peak of Hehuan Shan. 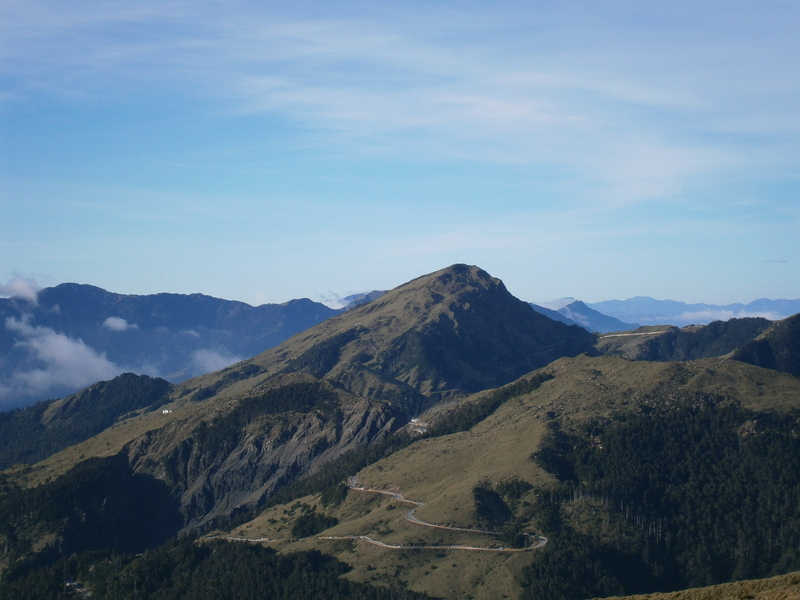 Chilai Shan’s North Peak (left) and Main Peak (right) can also be seen. Day 2: Up early, we hiked across the entire North-West ridge, from the North Peak to the West Peak and back. The West Peak has a great little sheltered spot to stop and eat lunch in a nearby patch of trees. From the trailhead, we drove back to Puli, and caught a bus back to Taipei. In clear weather, the views of surrounding terrain are lovely. On both trips, we pitched camp nearby the 3422m North Peak. There are lots of comfortable spots for this (albeit, none with a water source); don’t settle for the first one you see if it isn’t perfectly level! Our very comfortable campsite on the April hike. Our campsite for the May hike – not the best tent pitch, as the ground wasn’t perfectly level and the bushes prevented proper guy-line use. 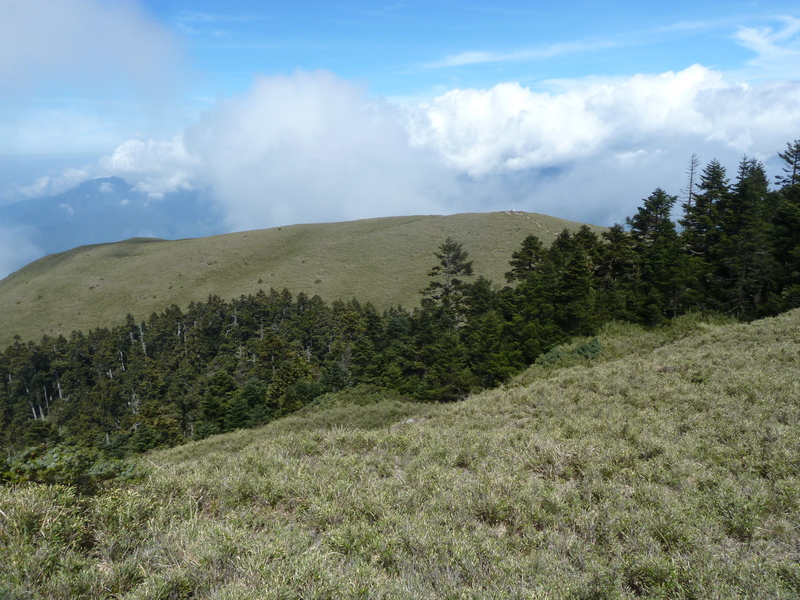 The north-west ridge of Hehuan Shan is perhaps the only moderately challenging hike the Hehuan mountains have to offer. 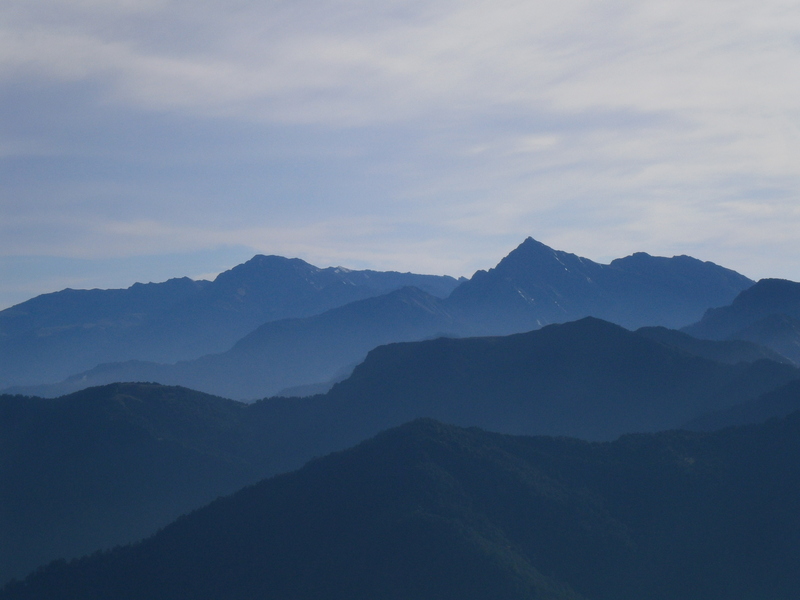 Four of the nearby peaks offer trails which can be completed in between fifteen minutes and two hours, but the north-west ridge offers a solid 8-9 hour day of good hiking over very enjoyable terrain. Many people come up the North Peak to take photographs of the flowers and beautiful terrain. 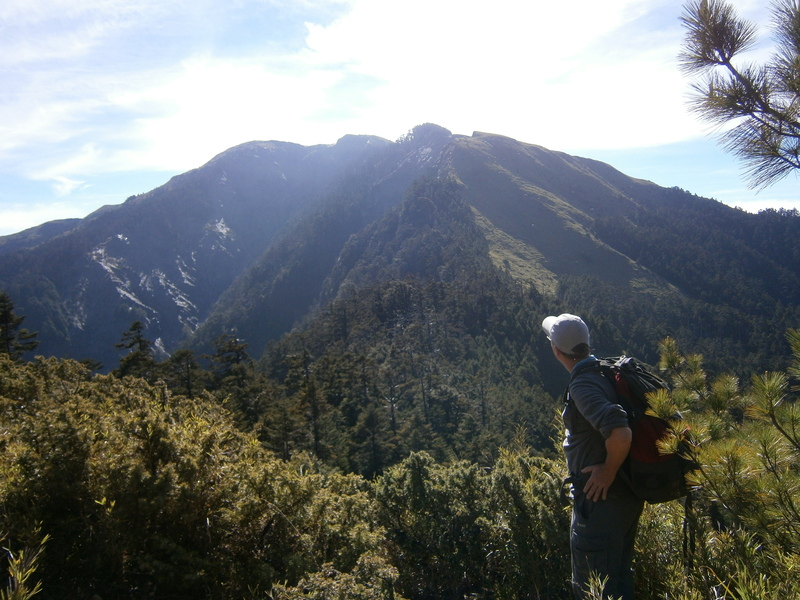 After waking up and eating breakfast, we set off west along the ridge, headed towards the 3145m West Peak. The “West Peak” isn’t much of a mountain, more just the western-most termination point of this particular ridge. Looking back at the North Peak behind us. 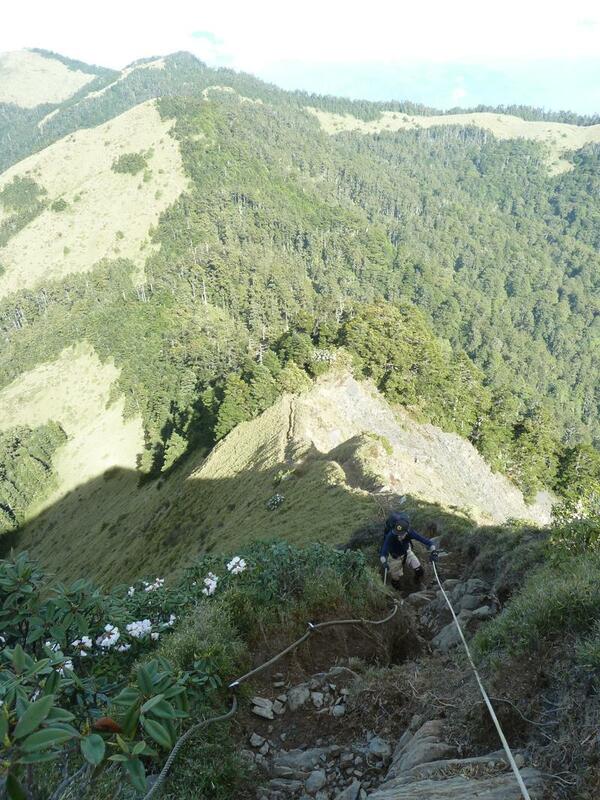 The trail continuously drops and climbs, and has five big ‘humps’ to travel over before reaching the West Peak. 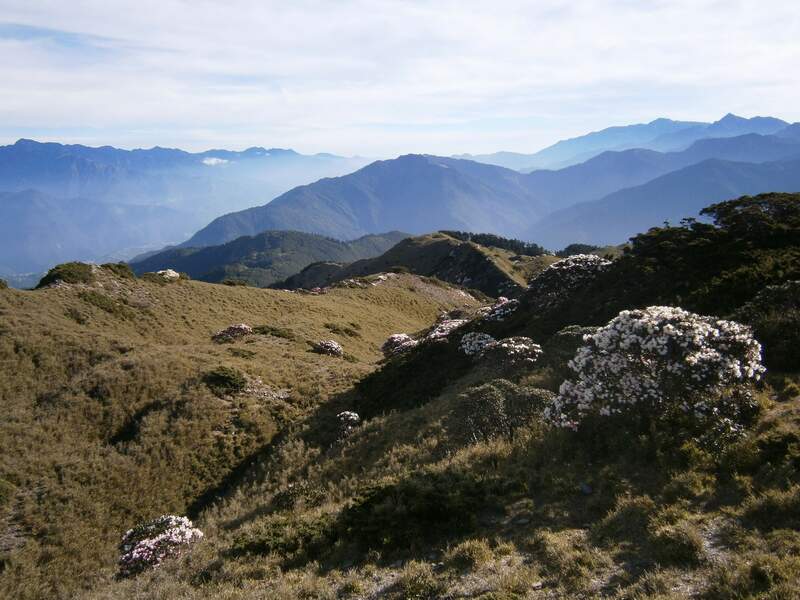 The terrain is very aesthetic, with pastoral fields, intermittent pine forest, and Yushan cane. On both hikes, the rhododendrons were blooming, and their pink flowers were a common sight along the trail. Patches of pine forest cover parts of the trail. At times, the trail is quite steep. With the entire ridge above 3100 meters, it makes for great exercise. Some great views in clear weather. Nanhuda Shan and Zhongyangjian Shan. 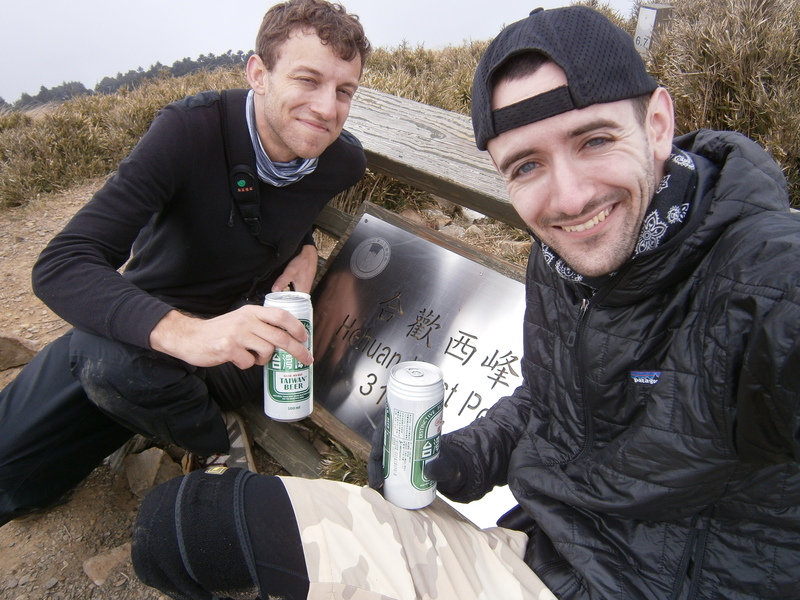 Knowing that the objective of the hike, the diminutive and unimpressive West Peak, was somewhat uninspiring once achieved, we brought along snacks and a nice beer on both hikes. The softly rounded West Peak in the distance. Zoom in and you can see some hikers on top. About to enjoy a cold beer on the West Peak! In great weather, this is a truly fantastic day hike. Logistically, it takes some time to get to the trail, and might be best if done as a relaxed two or three day trip, with some time spent exploring the smaller trails in the area, or enjoying the high-end facilities of nearby resorts. The cheapest way to get there, is to drive a car, or take a bus to Puli and rent a motorbike. 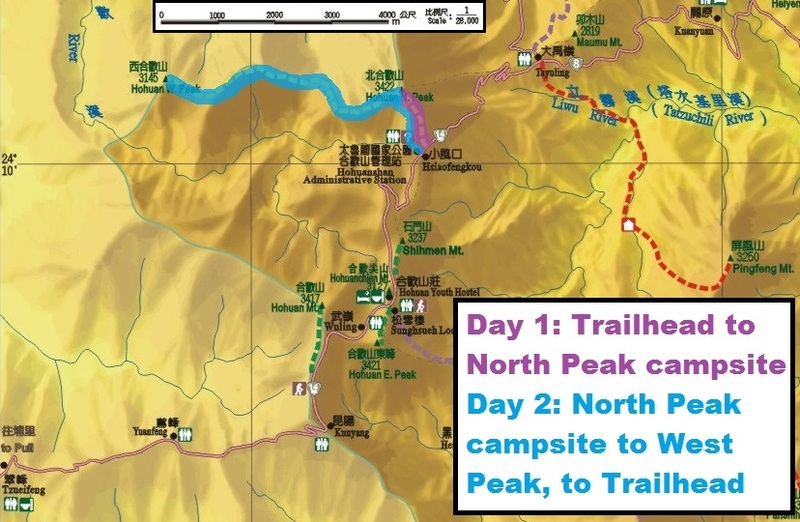 The North Peak trailhead is hard to miss, and is located right near the 37km marker of route 14, well past the Songsyue mountain lodge. 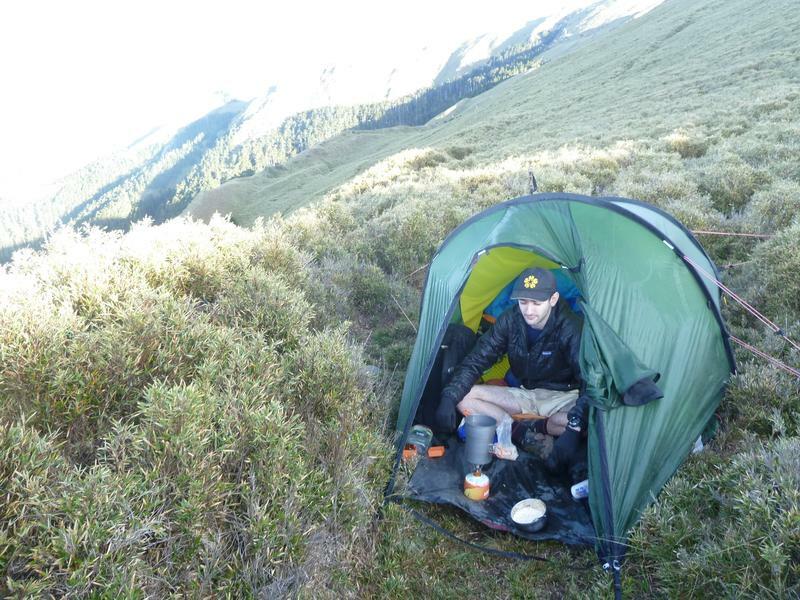 The North Peak offers some great terrain for camping. Some of the best spots are just off the trail on the south side of the North Peak, a short distance below the top. Unfortunately, there are no reliable water sources. 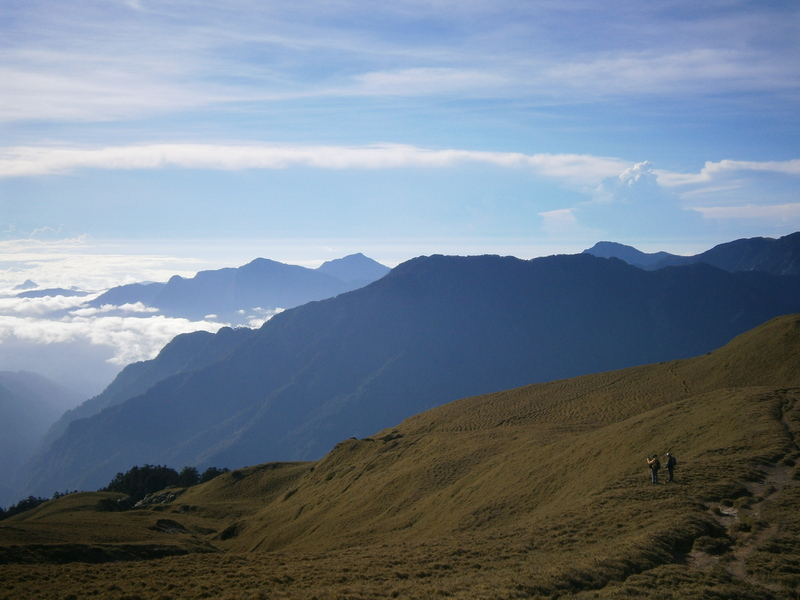 This entry was posted in Hiking, Taiwan - 台灣, Taroko National Park - 太魯閣國家公園 and tagged Hehuan Shan, Taiwan Hiking, 合歡山 by Ian. Bookmark the permalink.